31st Annual BCWLA Roast – A Roaring Success! 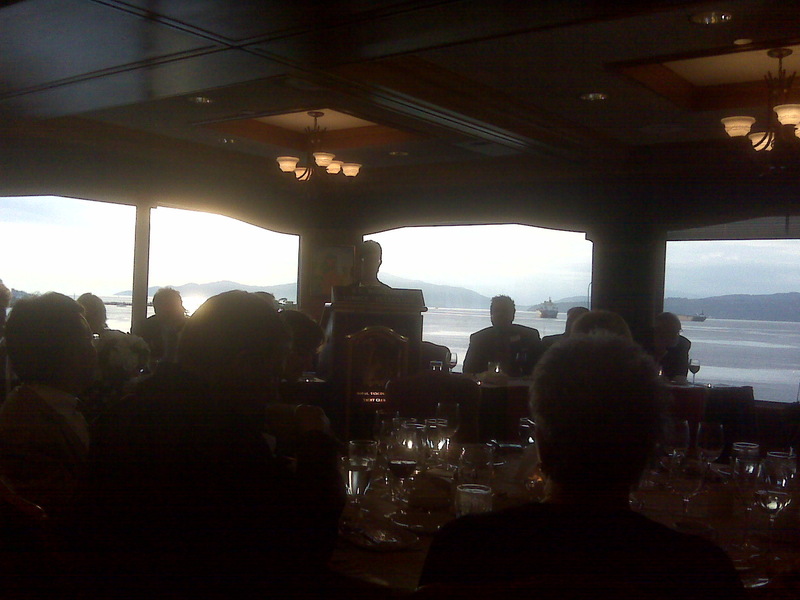 A change of venue this year, to the classy Royal Vancouver Yacht Club, made for a spectacular setting as the sun set over English Bay in Vancouver last night. At 6:30pm, over 100 attendees settled into their seats to honor 2011 BCWLA Lumberman of the Year John Bennett of Norman G Jensen. After opening remarks by Vice-President Kent Beveridge of Skana, coveted BCWLA Inukshuk Awards were presented: to Ian McLean of Spruceland, for his volunteer work coordinating Challenger Baseball in this province, and to Steve Parkinson of Southbeach, in recognition of his two years as President of the BCWLA (2009-2011). A sit-down dinner then got rave reviews, and the evening was turned over to Dawn-Ann Byers of Taiga, who did a wonderful job as the first woman roastmaster in the history of this prestigious event. Three hilarious roasters followed: Mark Thompson of West Fraser, Steve Midthun (Bennett’s brother-in-law), and Jack Hetherington of Evergreen Empire Mills. It was then John Bennett’s turn, and he was on a roll from the moment he took the mic – putting an exclamation mark on what was a memorable evening for all.